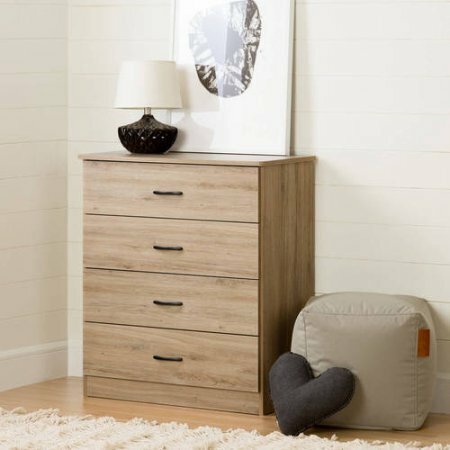 The 4-Drawer Chest is a simple yet elegant piece of furniture that will add elegance to the decor of your home. This contemporary style dresser features an attractive dark chocolate color with a smooth finish. Slender antique pewter-finished handles add to the classic touch. This sturdy chest draw is good for storing with four spacious drawers and can also serve as a stand to keep decorative items. Drawers interior dimensions: 27"W x 13-1/2"D.
Contemporary dresser is ready to assemble. Dimensions: 31.3 x 15.55 x 35.25. If you have any questions about this product by X Trade Store, contact us by completing and submitting the form below. If you are looking for a specif part number, please include it with your message.